Abandoned clay pit in Middle Oligocene marine sediments. 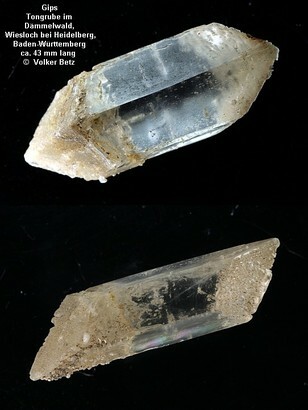 Famous for gypsum crystals up to 10 cm with hourglass structure, showing intensive fluorescence and phosphorescence. 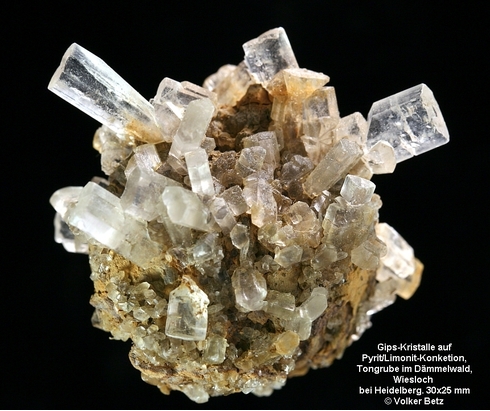 This feature was first observed on gypsum (selenite) crystals from Wiesloch in 1928 but is now known from many other localities with occurrences of gypsum crystals in clay beds. This and other clay pits near Wiesloch are also known for shark teeth and other marine fossils. The Dämmelwald clay pit is also listed as a Geotop of Baden-Württemberg (see link). Himmel, H. (1927) Gips von Wiesloch (Baden). Centralblatt für Mineralogie, Abt. A (1927), 342-349. Iwase, Ei-ichi (1936) Über die Verteilung des Lumineszenzträgers im Gipskristall. Bulletin of the Chemical Society of Japan, 11, 475-479. Nickel, E. and Fettel, M. (1985) Odenwald. 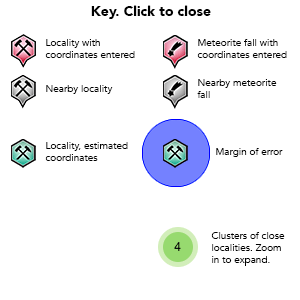 Sammlung geologischer Führer Vol. 65, 2nd ed., Bornträger (Berlin, Stuttgart), 231 pp. 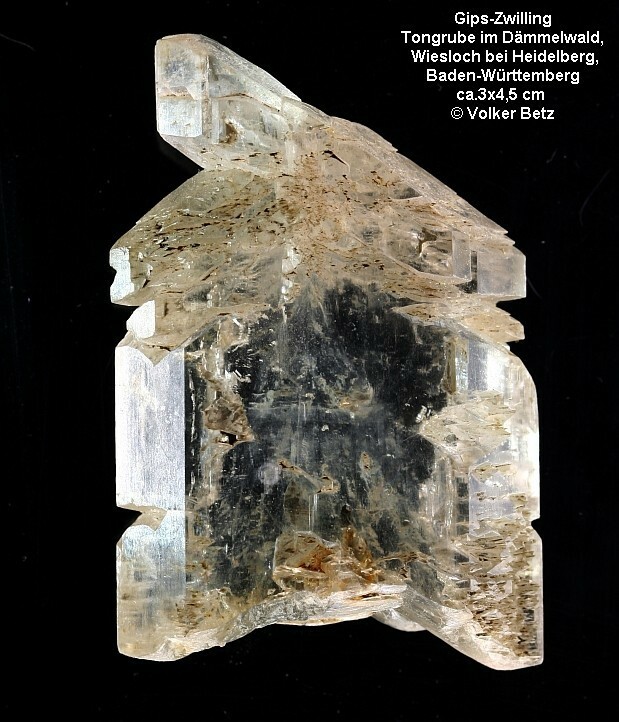 Weiß, S. (1990) Atlas der Mineralfundstellenatlas, Deutschland West. Weise (Munich), 320 pp.